I often look at nights like Cinco de Mayo with the same balance of hope and pessimism that I do New Years Eve. It always sounds like a night of great promise and epic fiestas; tequila, sombreros and what not. Then one thing doesn't lead to another, and you're eating chips and salsa on the couch watching Brad Pitt in The Mexican, by yourself, again. 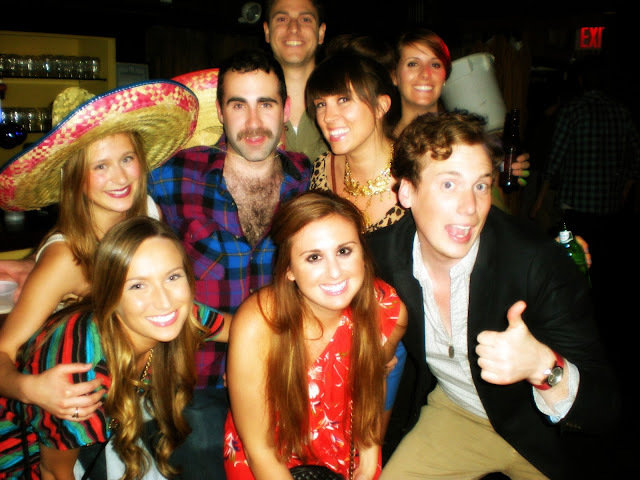 Luckily though - as has been the case with this type of occasion since my move to New York - this year's Cinco de Mayo really was an epic fiesta of tequila, sombreros and what not. We kicked off the night at our apartment, and hosted some friends and neighbors for homemade guacamole and "skinny girl" margaritas made from scratch. The guacamole was sort of terrible (blame the unripe avocados and amateur chefs), but the drinks were perfectly dangerous. My darling friend and fellow style blogger Meghan joined us for the first half of the festivities, wearing her new and absolutely amazing Madewell dress. Me: H&M blouse; (Gina's) Urban Outfitters skirt; vintage necklace; MK watch & Tiffany bangle. Meghan: Urban Outfitters Ecote Surplus jacket; Madewell dress; Rebecca Minkoff bag. Most of the cinco crowd @ Tammany, complete with sombreros, colorful ensembles and cheesy faces. <3. and the clutch tis Rebecca Minkoff! Sounds like a pretty amazing night! and your outfit is fab! love the bright colored skirt! I'm totally obsessed with your outfit! 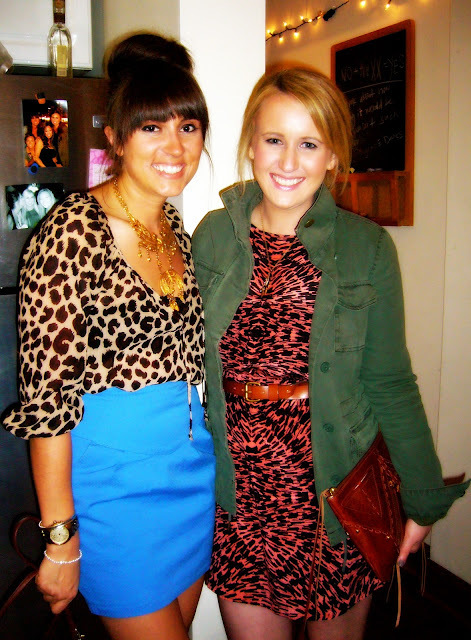 Blue and leopard!? Hello fabulous! I've been wanting to try skinny girl margaritas for a long time. Any tips? wow, i'm famous. like ashley olsen, except BETTER! SHUTUPILOVETHAT.